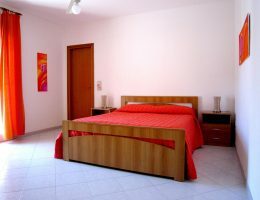 Well located Marsala apartments, in the center with Parking and near the sea! 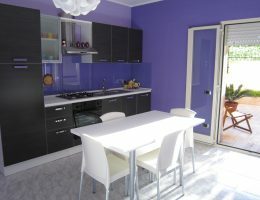 Residential zone with free parking space only 5 minutes on foot from Marsala old center, monuments, bars, restaurants, shops, museum, the walking zone and the sea. Ideal point for daily excursions in the wonderful Egadi Islands- only 30 minutes by ferry boat- and in all Western Sicily! 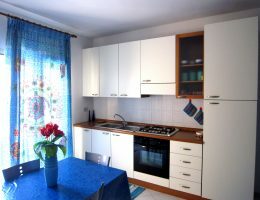 Situated in Vicolo delle Saline,a central residential zone with parking, the apartments are well located only 5 minutes on foot from fascinating old historic center, monuments, bar,restaurants, shops, museum and the seafront, but just out from the noisy of the hearth of old historic center. On foot you can esily reach the walking zone with its monuments, restaurants, bar, pastries, shops and the sea just in front the sea clubs ‘Circolo Velico‘ e ‘Circolo Canottieri‘( only 300 metres), famous for their sailing regatta. Only 5 minutes by car the best sandy beach of the zone and at 3 km on the North the Stagnone Natural Park, Saline, wind mills, the Salt museum and Mothia archeological island. Perfect location also for daily trips in wonderful Favignana and Egadi islands and in all Western Sicily till Trapani, Erice, Selinunte, Segesta, San Vito lo Capo, Palermo, Cefalù, Scopello, Monreale, Agrigento..
Book your Marsala apartment now! The form was successfuly sent! You will have your best quote in 24h!